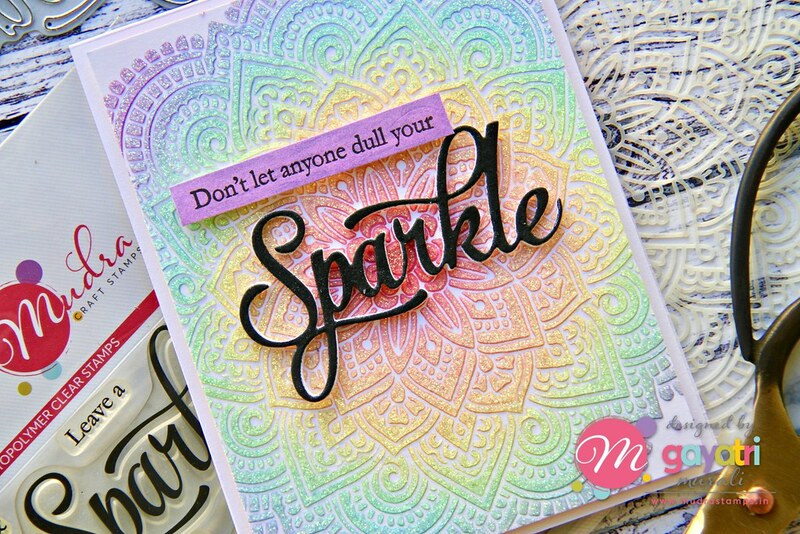 Don’t Let anyone dull your Sparkle card and video! On 14th of this month, I shared this card below on Mudra’s blog and on my social media. It was well received. 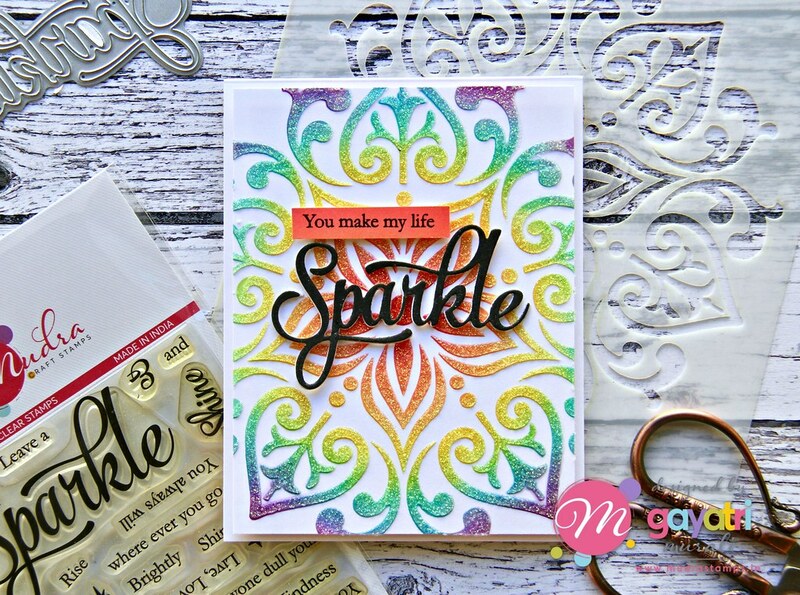 Who doesn’t love a glittery rainbow card, right? Along with all the likes, I also got requests for a video. I decided I will film how I made this card but change it up a little. On my new card, I changed the stencil and the secondary sentiment. 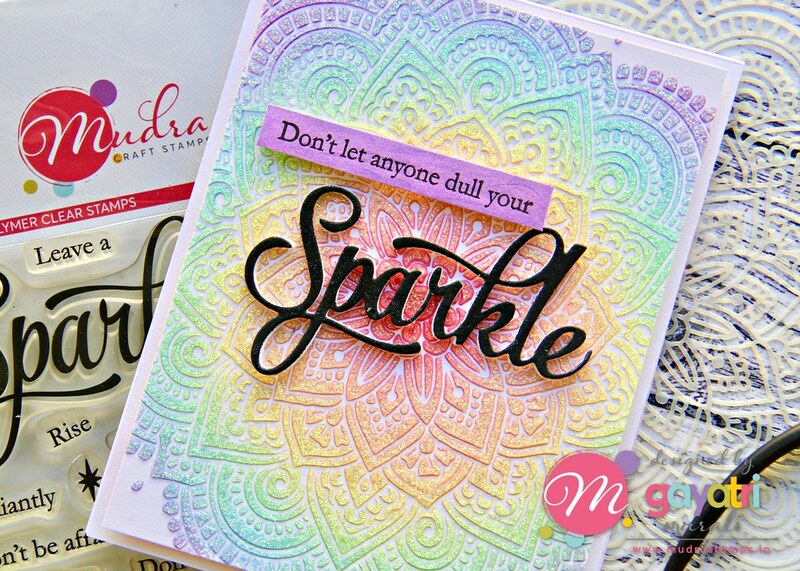 I used Mudra’s Mandala stencil. This is an older stencil. I love Mandala designs and this one is very detailed as well. Here is the new card first. The intricate details on this stencil is amazing. I sponged the Mai colours from Mudra on the stencil but kept them less saturated for it to be pastel and not too bright. Here is the video tutorial of this card. I love both the cards for different reasons. 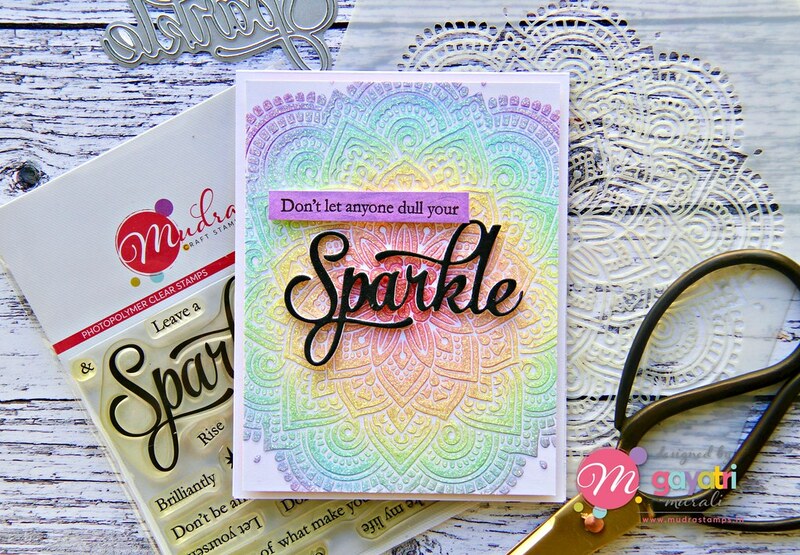 The original card using Mandala 2 stencil has bold sparse design with bright colours compared to the new card with Mandala stencil which has intricate, dense design with pastel colours. Nevertheless the process for making both the cards are the same. Only the stencil, sentiment and saturation of ink differs between the two. Here are a few closeup photos of the card. Which one is you favourite? If you make a similar card inspired by mine, please share it on social media and tag me. I love to see what your work? All supplies used to make this card are listed below for you. Thank you for taking the time to visit my blog and watch my video. Have a lovely day! I can’t even say I favor one over the other because both are equally GORGEOUS!! Love, love, love!